Frederick William “Butch” Renwick, III, 66, Nevada, MO passed away on Sunday, April 7, 2019 at Mercy Hospital in Joplin, MO. Butch was born December 22, 1952 in Nevada, MO to Frederick W. Renwick, II and Jody (Adams) Renwick. He was united in marriage to Barbara Jean Jadlot on April 10, 1976 in Nevada and she survives of the home. Butch was raised in Nevada and graduated from Nevada High School Class of 1970. Following high school he attended Ft. Scott Community College and Pittsburg State University before coming back to work for Renwick Insurance Agency. He was the third generation to operate Renwick Insurance Agency in Nevada where he worked for over 40 years. Butch was a dedicated citizen, having received the Business Person of the Year Award from the Chamber of Commerce in 2017. Butch was a member of the Knights of Columbus, St. Mary’s Catholic Church, and was a member and Past Exulted Ruler of BPO Elks #564, was currently serving on Vernon County Cancer Relief Board, past member of Economic Develop, and was a founder of Nevada Little League football. He was an avid outdoorsman who enjoyed spending time with his friends and family. 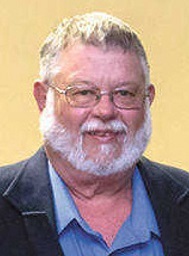 In addition to his wife Barbara, he is survived by two children, Leigh Weatherspoon and her husband Damon, Blue Springs, MO, Ryan Renwick and his wife Rachelle, Nevada, MO; four grandchildren, Myles, Tyson, Reese and Rory; one brother, Patrick Renwick and his wife Sue, Nevada; numerous nieces and nephews. He was preceded in death by his parents; and one son, F.W. “Bill” Renwick, IV. Mass of Christian Burial will be held at 10:00 a.m. on Friday, April 12, 2019 at St. Mary’s Catholic Church in Nevada with Father Peter Savidge officiating. Elks services will begin at 5 p.m. and visitation will follow until 7:00 p.m. on Thursday evening at Ferry Funeral Home in Nevada. Memorials are suggested to the F.W. 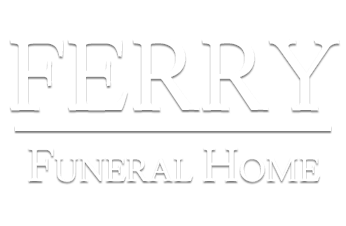 “Bill” Renwick Scholarship Fund or Vernon County Cancer Relief in c/o Ferry Funeral Home.